About 8" (20.5 cm) wide and 7" (18 cm) long. 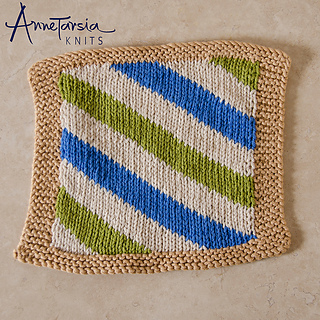 This washcloth will get you familiar with working with cotton. 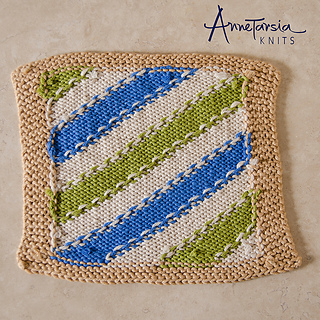 This workshop will teach you how to estimate how much yarn is needed for a color section, so that you can measure yarn supplies accurately. This process requires a bit of math and measuring time, but will make yarn management much easier.